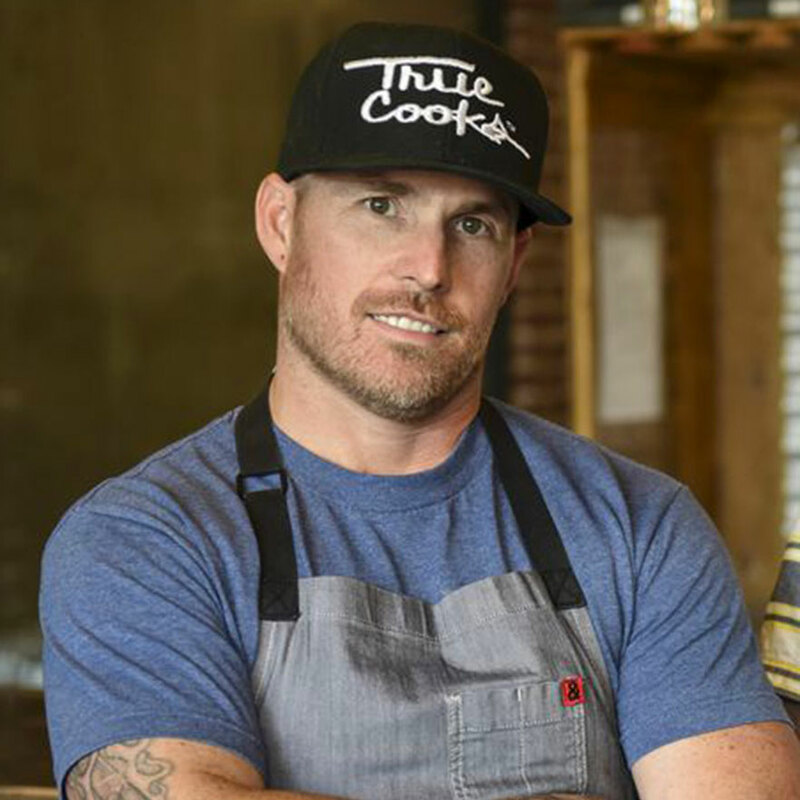 From grilling tips and setting the record straight on salt, to making an impact on the meat industry, Jered Standing has a point of view, and you'd better listen up. 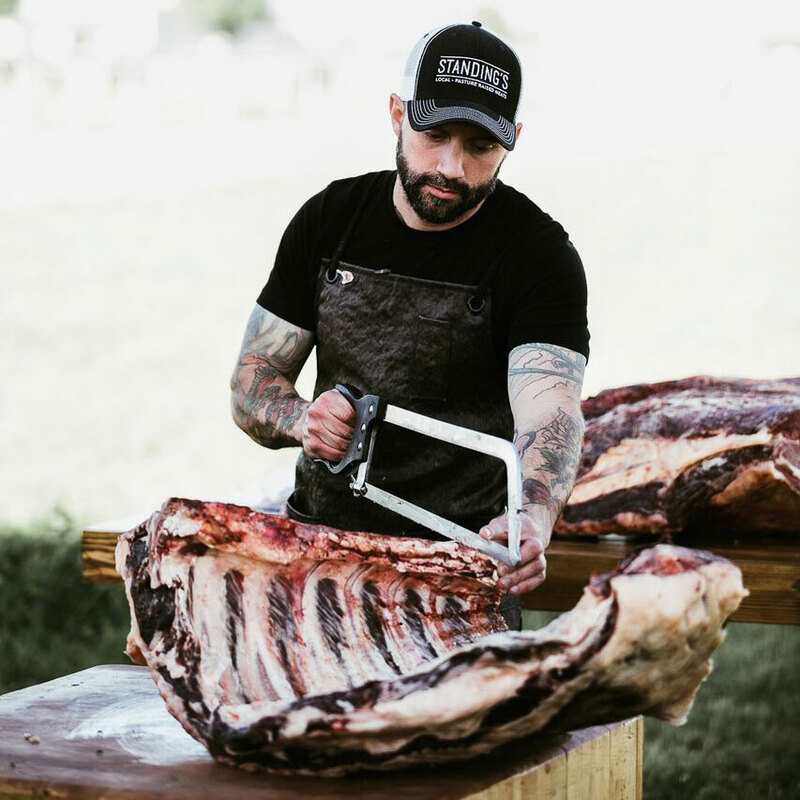 Take a peek at Jered Standing’s Instagram, and you’ll see the heavily tatted butcher deep in concentration carving, say, an entire side of beef with a hand saw, or breaking down a whole hog from nose to tail. If the fact that this boning knife-wielding guy gets all warm and fuzzy when he talks about animal welfare catches you off guard, you're not alone. 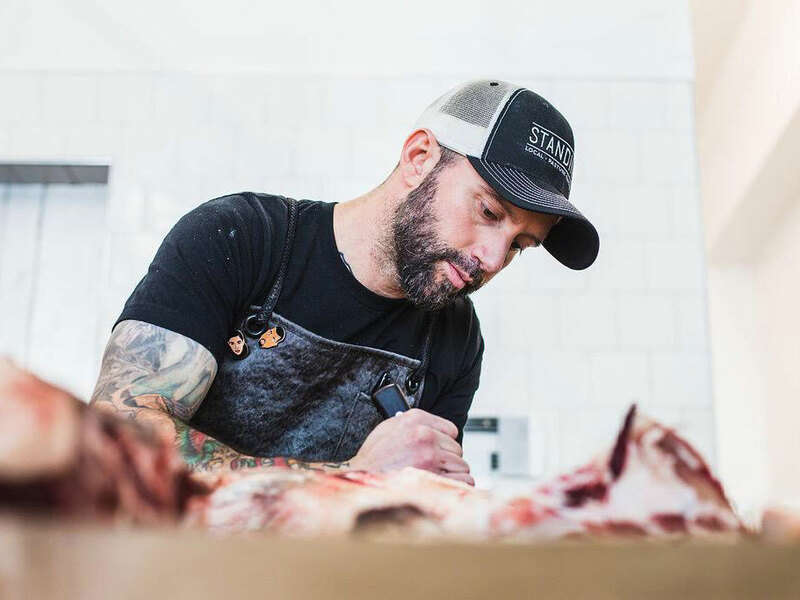 But the thoughtful, somewhat reserved former vegetarian, is setting the standards for whole-animal butchery in Los Angeles with his Hancock Park shop, Standing’s Butchery. Not only does he insist on knowing all of the farmers he sources from personally, but he also makes sure to use up every last part of each animal, turning scraps into sausages, nutritionally correct dog food, frozen beef and black bean chili and the like. For him, that means working incredibly closely with ethical, sustainable California farmers like Cook Pigs Ranch for pork, Pasturebird for chicken and Redhouse Beef for beef. I sat down with Standing recently to learn more about his philosophy, and how we can all make more ethical meat choices as we fire up the grill this summer. Tell us more about how you source the meat you sell at Standing’s Butchery. I have to be able to meet and get to know the farmer, and I try to have as few middlemen as possible. There’s a big level of trust between the customers and me, and I want it to be as close to them meeting the farmers as possible. For just about everything we buy, I just text the farmers, then they make arrangements with an ethical slaughterhouse, and I arrange for a separate freight company versus going through a large distributor. Otherwise, you don’t know what other types of meat might be on the truck, and mix-ups have been known to happen. And why do you use and sell the entire animal? From raising the animals to choosing a slaughterhouse, so much care has already gone into the meat before it gets to me, so it would feel inconsistent for me to then not use the whole animal. When people are shopping for meat at, say, a big supermarket chain, what are some things they should watch out for? There are so many tricky words out there these days. “Natural” really means nothing, and “organic” really only has to do with the feed. All the animal welfare aspects have recently been taken out of the organic certification, so you might still be getting a really confined animal. Natural beef can still be grain-finished instead of entirely grass-fed, which means the animal may have also been sick for the last 100 days of its life. So not only are you potentially buying a sick animal, but a bland one as well. Does making friends with your butcher make a difference? Sure, if there’s a good butcher available to you, but not everyone has access to that. I would say that I look for pasture-raised, grass-fed meat, not natural. If you’re up for something a bit more involved, you could even make friends with a farmer then buy an entire side of beef and store it in a chest freezer. And there’s your meat for the year. Let’s shift gears and talk about grilling. What are you grilling this summer? I actually prefer cast-iron generally, but to me, grilling is more of an event. 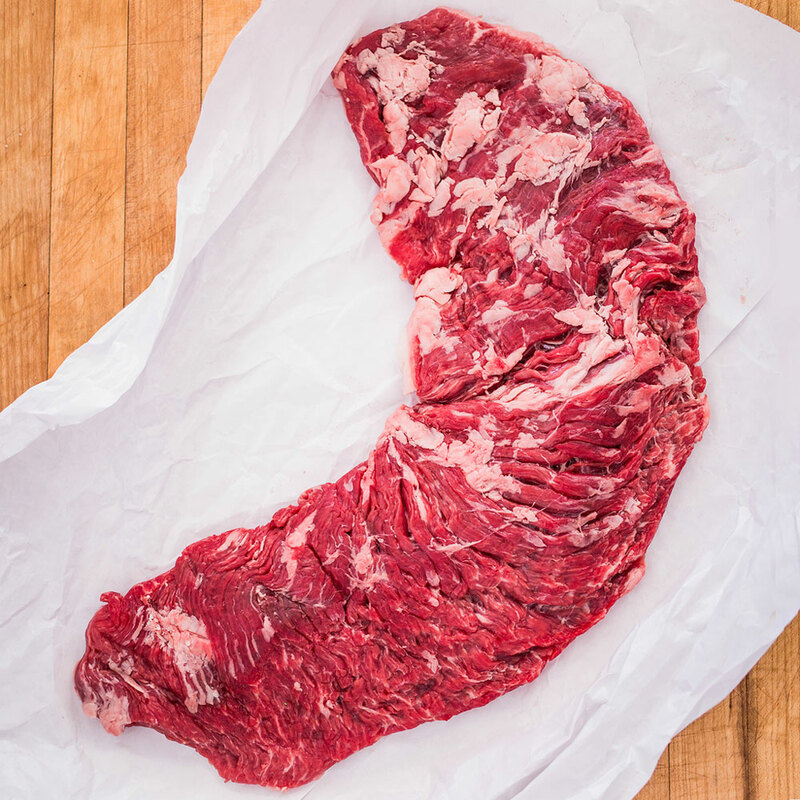 I’m into the Denver steak this summer—it’s from the underblade, basically a boneless version of Korean short ribs. It’s got nicely, evenly distributed fat versus a fat cap like a New York steak, and it’s one of the few cuts that I would marinate. You’re not a marinator? Is that a word? No, I typically just use salt and finish the meat with something like a chimichurri. I’ll usually salt the meat about half an hour before cooking, but I think timing-wise, you should either salt very shortly before you cook it or for a long time. You can salt the day before, and it’s almost like a dry brine. Salting a day before will give a spatchcocked or brick chicken really crispy skin, because it dries out the skin before you cook. What’s some of your other favorite grilling advice? I think people often just throw things on the grill without thinking about indirect versus direct heat. 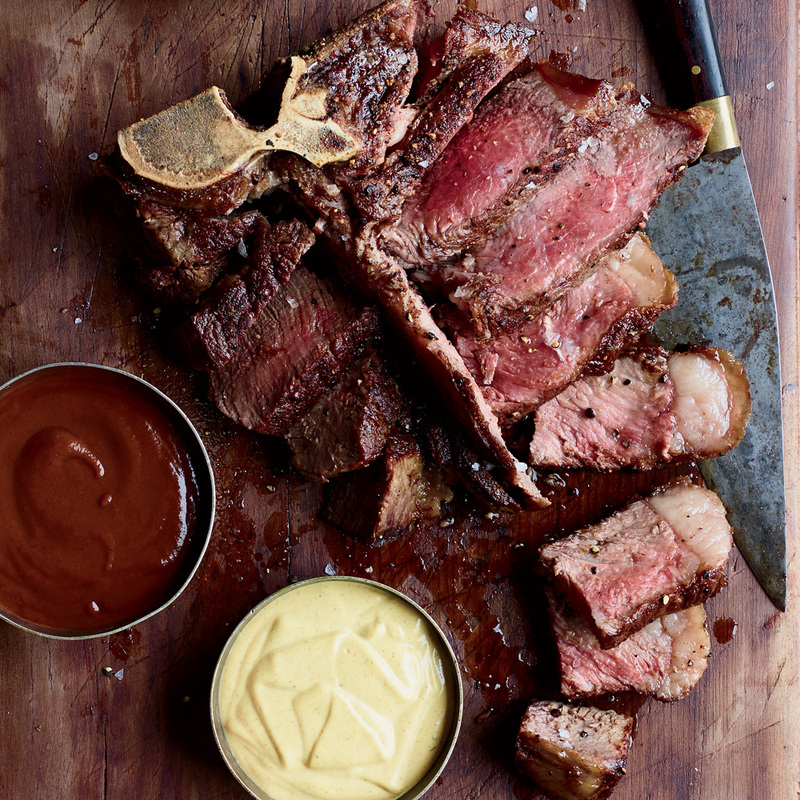 With a thick cut of steak, you want to treat the grill like an oven, keeping it pretty low and then searing at the end. I kind of hate that it’s called a “reverse sear,” because it’s actually the way it’s supposed to be done. Right, most people think you should sear at the beginning of the cooking process. There’s a misconception that searing seals in the juices, but it actually doesn’t. And a lot of people think that marinating somehow tenderizes the meat, but that’s not true either. And salt doesn’t tenderize, does it? No, it’s just for flavor. You have quite the aggressive sausage program at Standing’s. Any tips on grilling them? If the sausages are really fresh, you should pre-cook them so they don’t explode all over the grill. No one wants a grill full of exploding sausages! No they don’t. Just give them a gentle boil for a few minutes so that the moisture doesn’t expand and cause them to burst. Last but not least: What’s your go-to burger blend? We make one at Standing’s that’s about 70 percent lean beef and 30 percent bacon. I cook it on a cast-iron skillet on the grill so it gets a crunchy crust on the outside. We make dry-aged ribeye burger that’s pretty awesome. But I’d throw that one right on the grill.